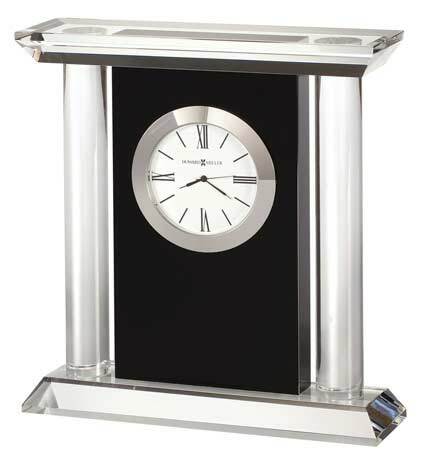 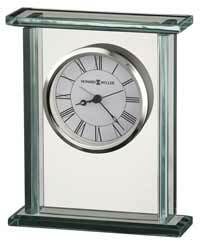 The Howard Miller COLONNADE 645-745 Crystal Black Desk Clock is a bold optical crystal, Contemporary Desk Clock with black glass center panel. 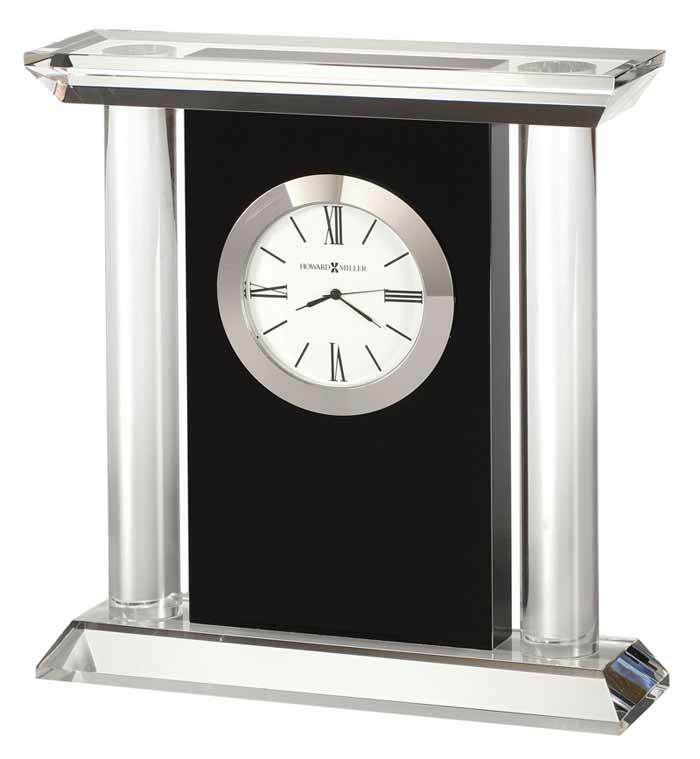 White dial with black Roman numerals and hour markers surrounded by a polished silver-tone bezel which is inserted into the body of the clock from the front. 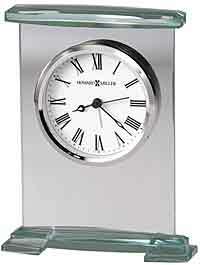 The back is completely finished which makes this clock perfect for a desk where the clock is viewed from the back. 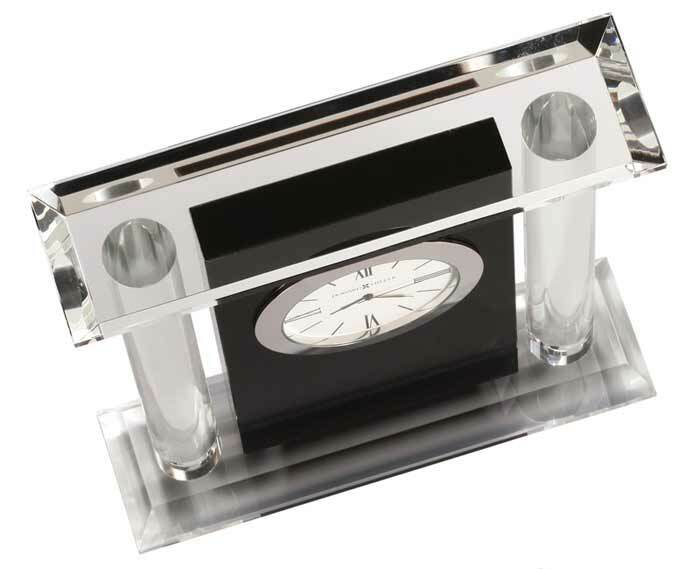 The Colonnade is packaged in an elegant black presentation gift box. 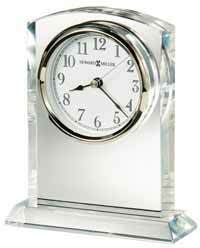 Accurate Quartz battery-operated movement includes one SR626SW battery. 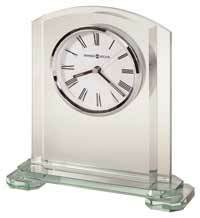 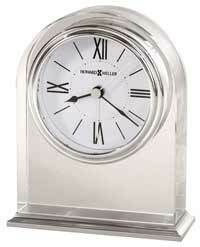 Size: Height 6.75", Width 6.25", Depth 1.75"
Clocks for sale at The Clock Depot including the 645-745 at discount prices.